Have I mentioned that we live in a small space ;) ? Well in a small space when every inch counts, the tiniest detail can make a big difference. 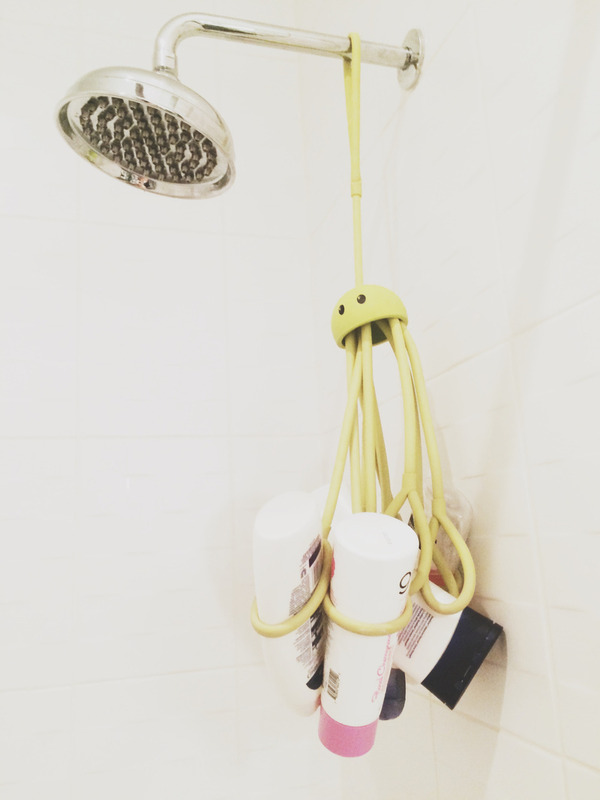 I picked up this octopus shower caddy (link here) at the Dwell design show on a whim a few years back and this playful addition has come in even more handy lately. It keeps most of our bath products off the ledges which is helpful in keeping the ledges clear of clutter and leaves the shower/tub easy to clean. The octopus also keeps bottles off the ledges which tend to be too tempting for a chubby fingers that love the crashing sound they make when they fall in the tub.